Hampshire man completes a 12-hour spinathon in aid Diabetes UK. “My girlfriend has Type 1 diabetes and seeing her and how it affects every aspect of her life inspired me to do something to raise awareness. 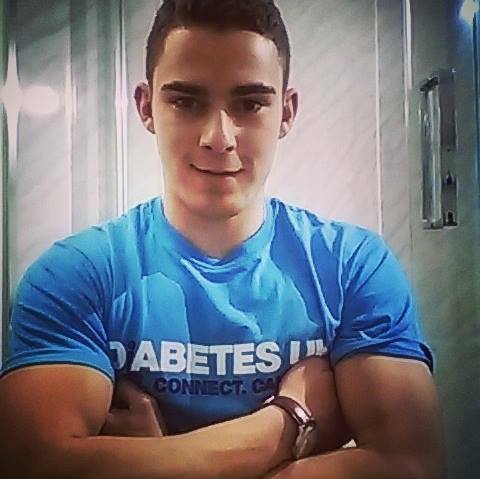 Henry Ascoli (24) from LIPHOOK, Hampshire completed a 12-hour spinathon on Sunday 18 because his girlfriend has Type 1 diabetes. He tackled a 12-hour spinathon at Petersfield's Positive Lifestyle Health Club this Sunday 17th January, in aid of Diabetes UK and Mind. “It was an incredible day and I was, overwhelmed by all the support from everyone"
"I would love the money to go towards supporting and educating people about Type 1 diabetes especially, as my girlfriend has Type 1 diabetes and was the main inspiration behind my challenge. “Fitness and health have always been important to me, and shaped every aspect of my life. This was the motivation and theme for my challenge. Those affected by diabetes and mental health issues ultimately live their life around their condition - every day presents a challenge in one way or another. understanding is just as important - if not more so - than raising money." Patricia Howells, Diabetes UK South East fundraiser said: “We are hugely grateful to Henry for his great achievement for not only completing the spinathon challenge but the impressive amount of money he has raised in aid of our charity so far"
“Diabetes is one of the biggest health challenges facing the UK today and the money raised will help improve the care and support available for people affected by the condition. Diabetes is a serious, lifelong condition but with the right treatment and support, people with diabetes can reduce their risk of developing complications and go on to live long and healthy lives."